Welcome back to my series, Interview a Blogger. Today we have the lovely Sarah from Wonderland Blogs (Sarah in Wonderland). I hope you love her answers as much as I do. I'm a disabled blogger who writes about beauty, lifestyle and chronic illness. I've blogged on and off for years but in 2015 decided to really focus more time and effort into writing. I love it, I enjoy sharing my opinion, and I especially like connecting with my readers and other bloggers. I've had a few emails from readers that have said a particular post has really helped them and that means the world to me. I've always been a writer, I love to write, I love words, and I really enjoy posting and interacting. - Dorkface - Jemma is so creative, so innovative, inspiring and absolutely lovely. I love everything about her style. - British Beauty Addict - I love Emily's writing style and content, her blog is literally Beauty Heaven. - Sea The Stars - I've followed Sarah's blog for a while and it's like my happy place, I love her blog. I spend way too much time on Twitter, watching Netflix, tormenting my boyfriend and FaceTiming with my 3 year old nephew. I was interviewed by the BBC for a post I wrote about being disabled and wearing make up, that was pretty awesome. I love a haul, I'm so nosey, I love to know what people have been buying. I'm not really interested in fashion, I know, shoot me now. Oh my days, you did not just ask me that! Concealer, preferably Urban Decay Naked concealer, I have horrendous eye bags, those babies need covering. Don't aspire, just do. And good luck. 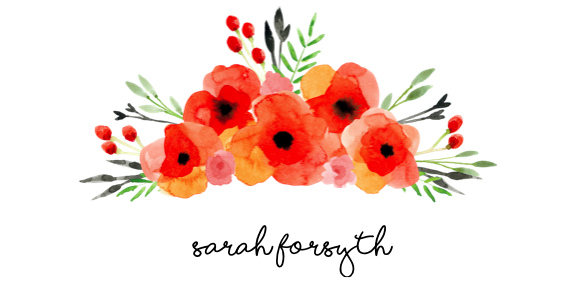 Thank you so much to Sarah for taking part! It's been an absolute pleasure. Come back next Saturday to see who are next blogger is.